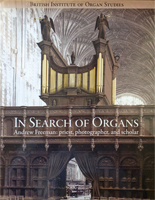 An instrument of the highest quality from the Organ Reform Movement that has had considerable influence on British organ building. A rare and rather special survivor from Arthur Harrison’s early years, within the building for which it was intended and contributing to the grandeur of the whole. 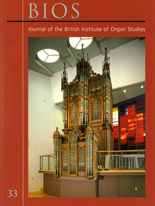 Built in consultation with Dr. Joseph Parry, the famous Welsh composer. Great: Double Diapason, Open Diapason, Gamba, Hohlflute, Principal, Harmonic Flute, Twelfth, Fifteenth. Swell: Bourdon, Violin Diapason, Rohr Flute, Salicional, Voix Celestes, Gemshorn, Piccolo, Vox Humana, Oboe, Cornopean. Choir: Keraulophon, Clarabella, Suabe Flute, Clarinet, Orchestral Oboe. A significant instrument of its type, of cultural and historic importance, in original condition and in its original location. Unusual layout closely integrated into the architecture of the chapel. In original condition. Great: Open Diapason, Claribel Flute, Dulciana, Principal, Flute Harmonique, Fifteenth, Clarinet. Swell: Open Diapason, Lieblich Gedackt, Salicional, Vox Angelica, Gemshorn, Flageolet, Cornopean. Great: Double Open Diapason, Open Diapason, Clarabella, Dulciana, Principal, Flute Harmonique, Fifteenth, Mixture, Trumpet, Clarinet. Swell: Lieblich Bourdon, Viola, Lieblich Flote, Salicional, Vox Angelica, Octave Viola, Mixture, Horn, Hautboy. Pedal: Open Diapason, Violone, Bourdon, Octave Wood, Trombone. Only the outstanding and imposing case by Paley & Austin is listed.